Do you have a favorite brand? A company whose products you love? Good news: you can put your corporate logo on retail quality products from Brookstone, Ralph Lauren, Cross, Cutter & Buck, Apple Adidas and more. Brand name products have a higher perceived value and are perfect for conveying generosity, thoughtfulness, appreciation and gratitude. Studies have shown that business improves when employees and customers are rewarded. Adding your logo to a name-brand product will only add to the positive effect. 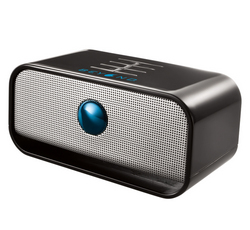 If you are looking to make some noise with your promotion, this wireless Bluetooth speaker is always a huge hit. It features a built-in rechargeable battery with approximately 4 hours of playing time on a single charge, and is compatible with Bluetooth-enabled devices including iPod®, iPhone® and iPad® as well as Android™, BlackBerry®, laptops and more. Great for a sales team incentive or client gift. Upgrade your golf tournament with this brand-name polo, featuring Dri-FIT moisture management technology for a more comfortable day on the golf course. This is a shirt your recipient will wear again and again. The contrast Swoosh design trademark is embroidered on the right chest, so we recommend your logo go on the sleeve on on the back just below the collar. 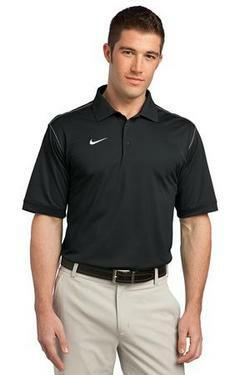 Made of 5.6-ounce, 100% polyester Dri-FIT fabric. Golfers will wear this over and over again. 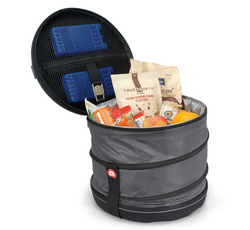 Featuring an innovative, travel-friendly design, this deluxe Igloo cooler is built to last. It collapses into a disc when not in use, so there’s no reason not to take it with you. This is a great item for corporate outings, sponsored sporting events and the company softball team. Why leave just a business card when you can make a much bigger first impression with this golf ball kit? 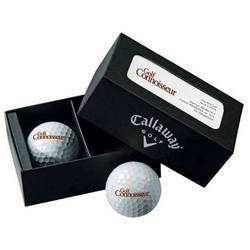 Includes two Callaway golf balls in a linen box with a slot for your business card. Includes 2 logoed Callaway(R) Golf balls contained in this high quality linen box. This is the ultimate method of handing out your business card to an important client or to reinforce your golf tournament sponsorship. There are lots of other options from well know retailers that could give a high-profile lift to your marketing efforts. Let us help you find the products that will boost your program. Call us today at 781-281-1430, or email branded@sophwell.com.